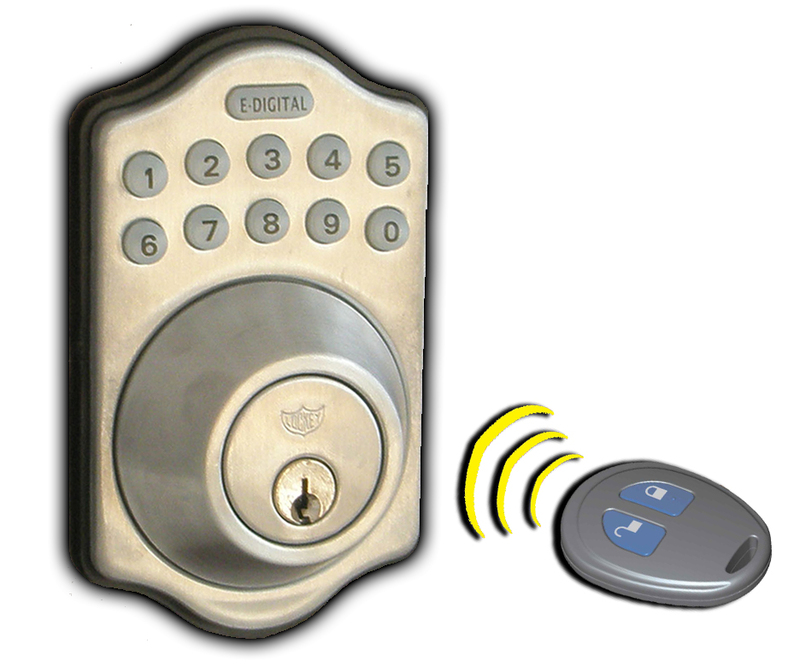 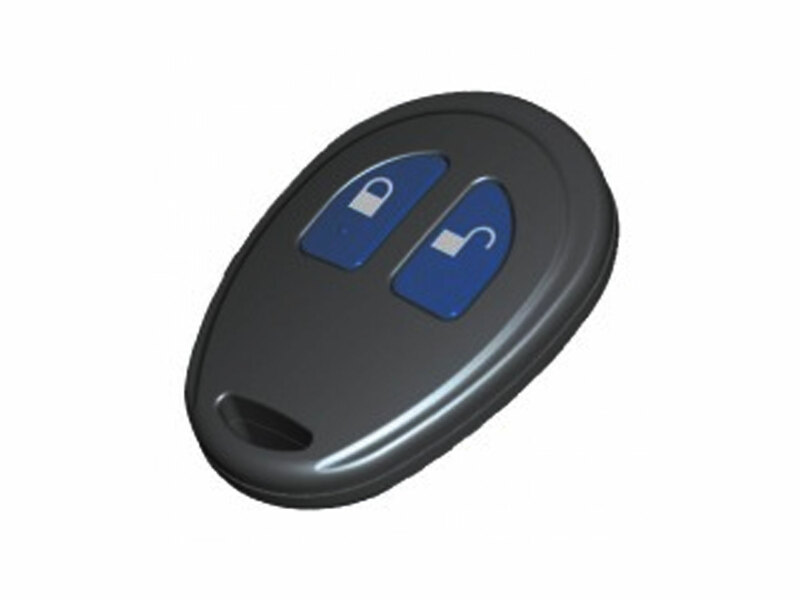 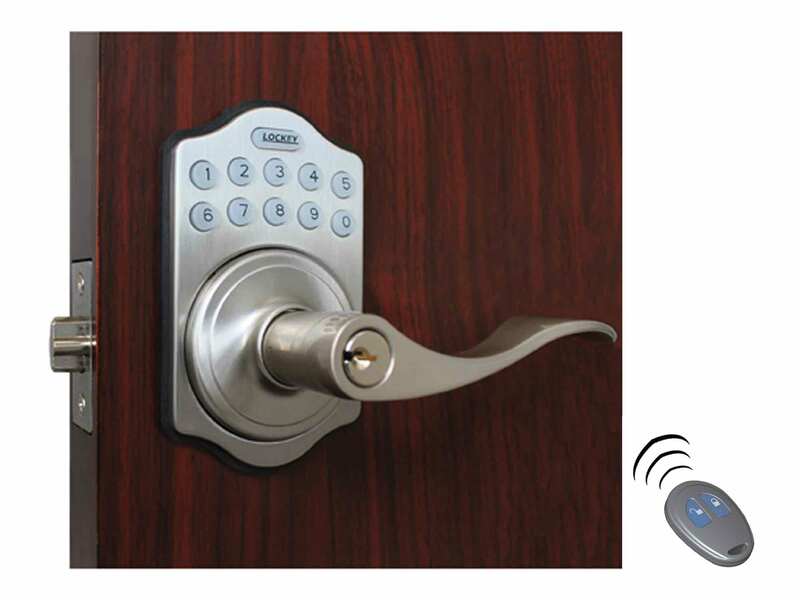 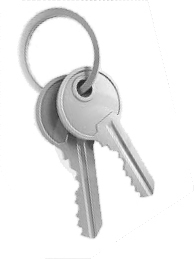 Lockey E-Digital Remote Control Door Key Fobs have a lock and unlock button that works within about 30 feet of a Lockey E-Digital Lock. 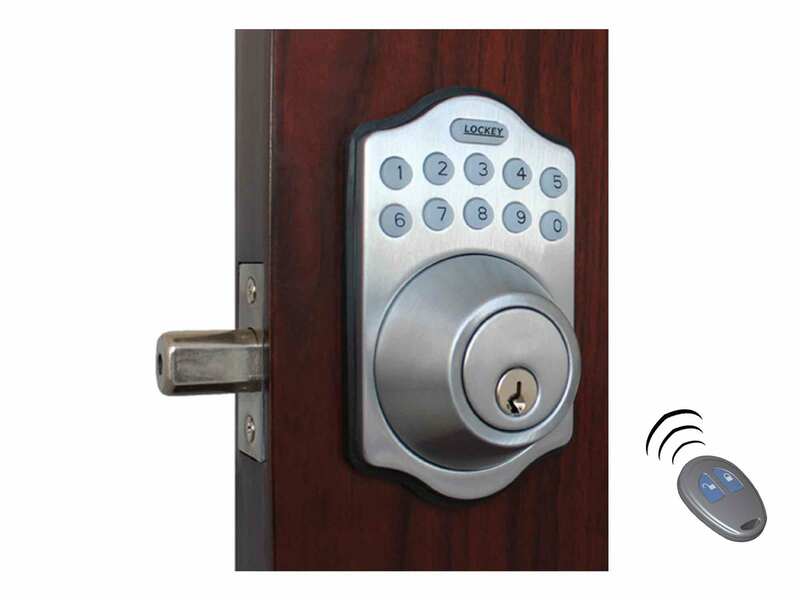 These work with the Lockey E910, Lockey E930, and Lockey E985. 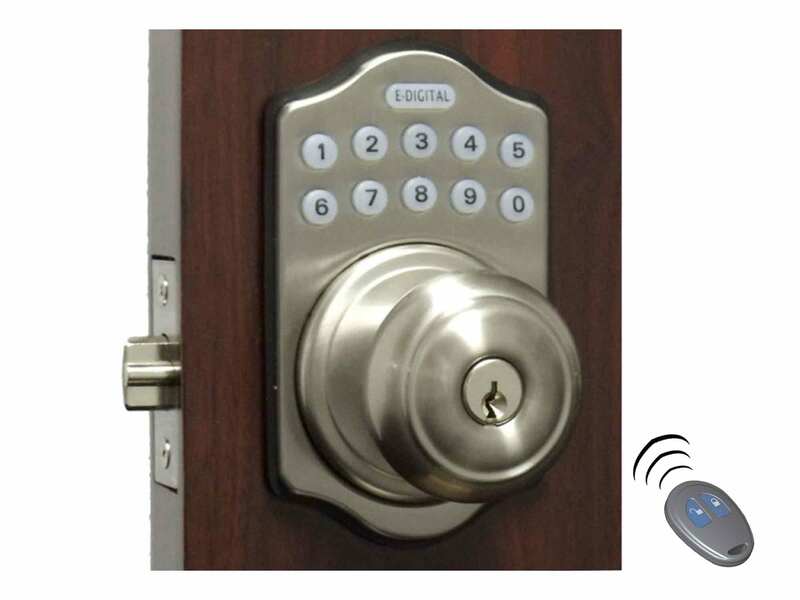 If you install this key fob door lock on your front door, you could give out up to 5 remote control key fobs to different people and they would be able to come and go without entering a combination. 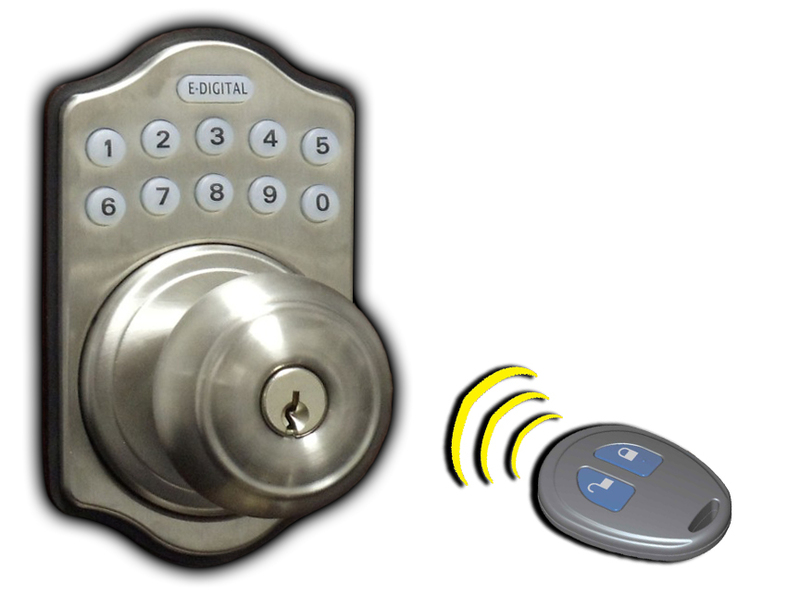 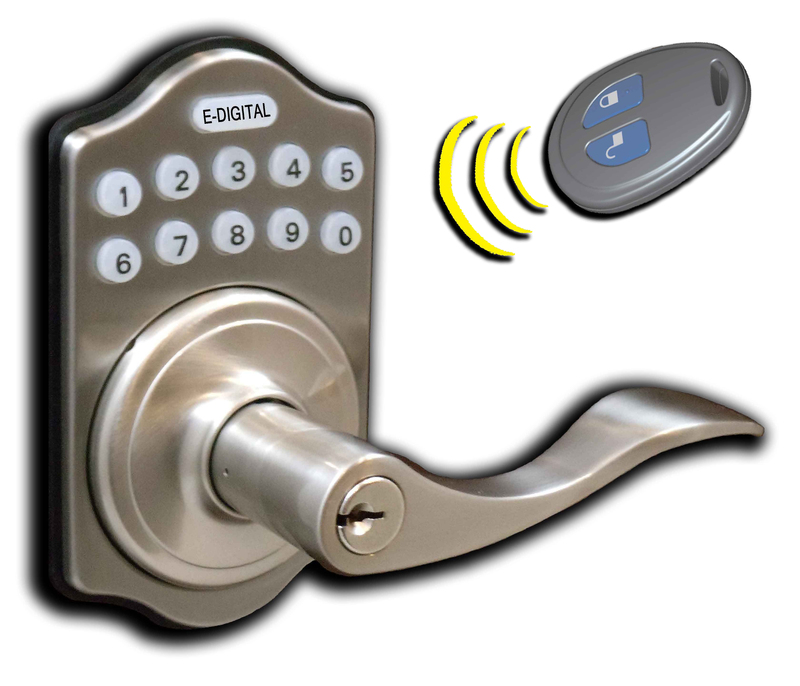 If you purchased an E-Digital lock for several doors at your home, you could program each lock to respond to the same remote control key fob, so you would only have to carry one remote with you.